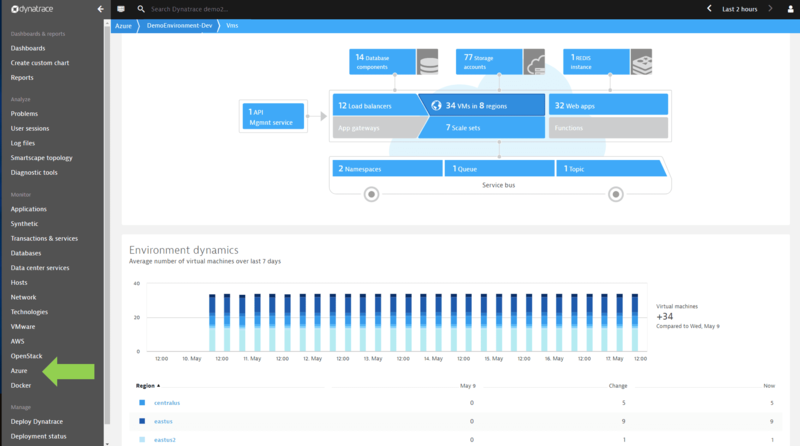 While Dynatrace provides broad support for Azure Compute Services, including an intuitive, native integration using the Dynatrace VM-Extension or SiteExtension for App Services, the Azure overview page complements application and infrastructure data collected by OneAgent with Azure monitoring metrics and metadata from Azure Resource Manager (ARM). Create an Azure Service Principal. Find your Azure Tenant ID. Grant access to the subscription. Connect Dynatrace to the subscription. Dynatrace Server version 1.144 or later. 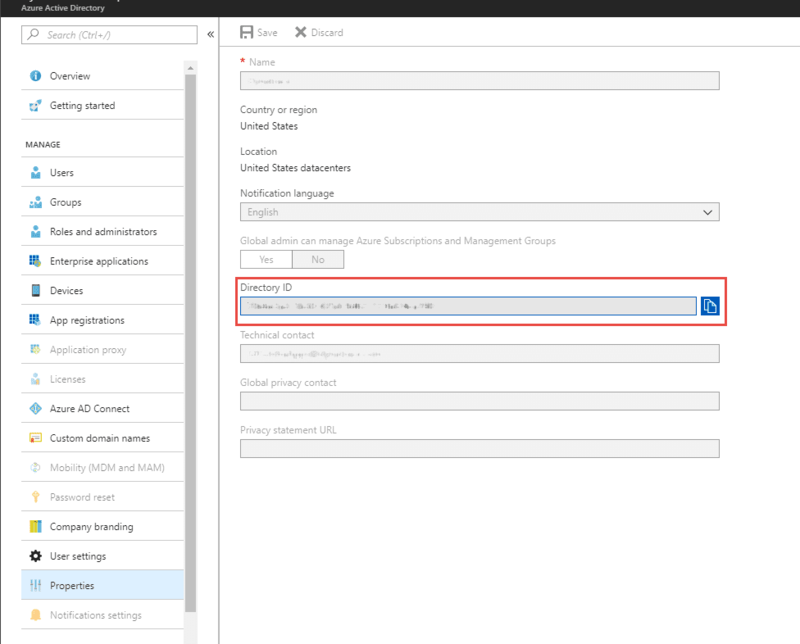 Sufficient permissions to register an application with your Azure AD tenant, and assign the application to a role in your Azure subscription. Make sure you have the right permissions to perform these steps. An Azure Service Principal to access Azure APIs. Go to the Azure Management Portal and click Azure Active Directory. Click App registrations in the navigation pane of the selected Active Directory. Click New application registration at the top of the App registrations blade, then type the name of your application. Make sure that Web app / API is selected as the application type. Type the Sign-on URL based on your application name. This does not have to be an actual sign-on page (for example, http://mydynatrace.com). Click Create. When the application is created, copy the Application ID, and place it where you can easily retrieve it. This becomes your Client ID once you&apos;ve set up your connection, and is required to configure Dynatrace to connect to your subscription. Click Settings to display the Settings pane, then click Keys to display the Keys blade. Type a Key description, then select a key duration in the Expires list. Click Save at the top of the Keys blade. This saves the key and displays the key value in the Value field. Highlight the value and copy it, and place it where you can easily retrieve it (along with your Client ID). Important: This is your only chance to copy this value. You can&apos;t retrieve the key value after you leave the Key blade. With the Active Directory blade open, you can now get your Tenant ID. Click Properties in the navigation pane of the Azure Active Directory blade and copy the Directory ID. 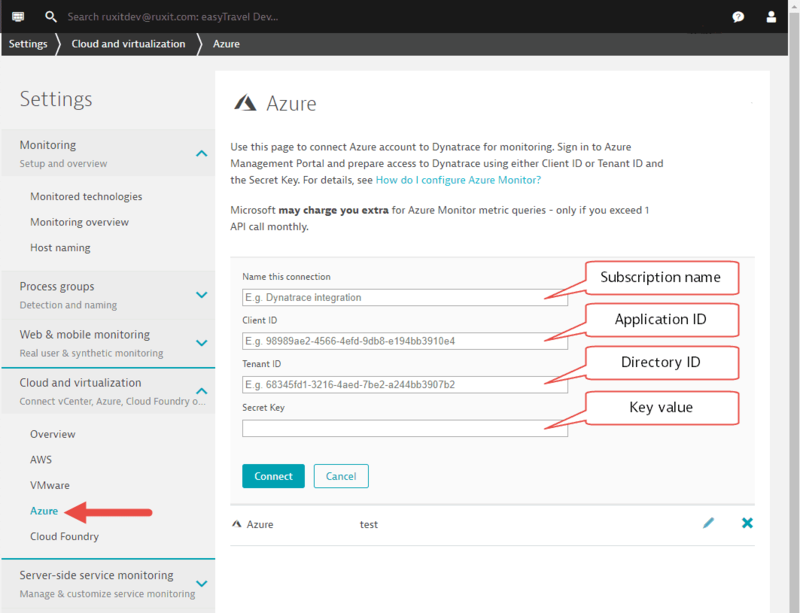 This is your Azure Tenant ID, which is needed to configure Dynatrace to connect to your subscription. Keep this ID with your Client ID and Key value. 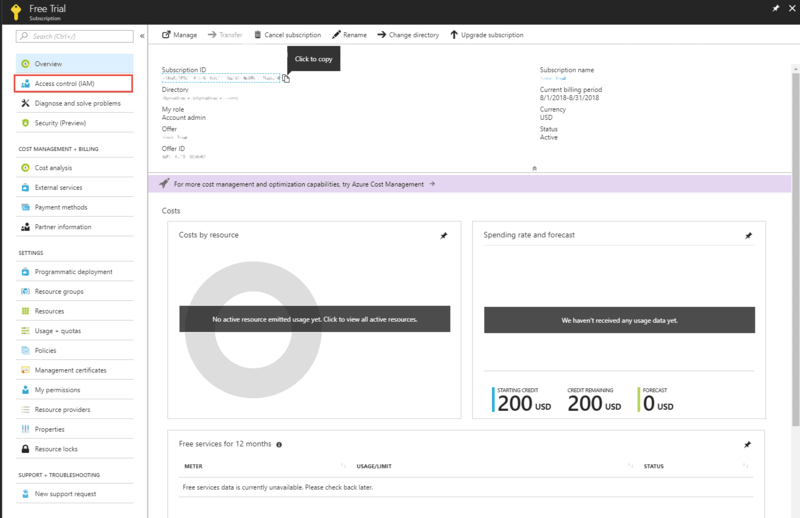 You need the subscription name and Client ID to complete the service endpoint and connect Dynatrace to your Azure subscription. Click All services > General > Subscriptions. In the Subscriptions blade, select the subscription you&apos;re using. Copy the subscription ID at the top of the Subscription blade. Keep this ID with your Client ID, Key value, and Azure Tenant ID. Then click Access control (IAM) in the subscription navigation pane. Click Add, then select Reader as the role. In the Select field, paste the Client ID (Application ID) you saved to find the application you created in Create an Azure Service Principal. Select the application and click Save to grant the Service Principal access to your subscription. 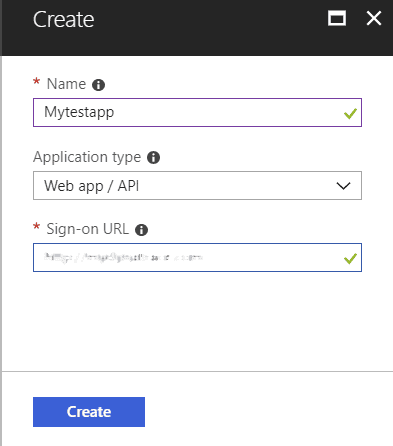 To properly map the Azure monitoring metrics and Azure Resource Manager metadata to Dynatrace, you must to connect your Azure account to Dynatrace for monitoring. This includes providing either the Client ID or Tenant ID and the Secret Key from your Azure Management Portal for access. In the desired Dynatrace environment, click Settings > Cloud and virtualization > Azure. Type a descriptive name for the connection. Enter the Client ID you obtained when creating the Create an Azure Service Principal. Enter the Tenant ID, which is the Directory ID in the properties for the Active Directory in the Azure Management Portal. Enter the Secret Key, which is the key value obtained when creating the Create an Azure Service Principal. Click Connect to add the connection information to the list of Azure connections. You can edit connection information at any time. Once you have set up Azure and configured Dynatrace to connect to your Azure subscription, you can get enhanced visibility into your Azure environment, particularly fully managed platform services (PaaS) where you can&apos;t deploy Dynatrace OneAgent directly on hosts. You can see the additional Azure monitoring metrics and metadata from the Azure Resource Manager (ARM). Azure integration is not supported on multi-tenant, multi environment ActiveGates. For Dynatrace 1.147 and later, a single configuration can have more then one subscription attached. Any attached subscriptions will be monitored. For Dynatrace Server 1.146 and earlier, you must add multiple configurations to monitor multiple subscriptions. Azure integration is only available for the public cloud, not the sovereign clouds (such as Azure government) or Azure stack. VMs detected by ARM currently aren&apos;t automatically associated with VMs monitored by Dynatrace OneAgent. No metrics are currently available for Service Bus and Azure SQL.